This fluorescent micro fleece beanie feels fine and packs up small. Available in one size to fit all, it is stretchable and ideal for wear in the colder months in Australia. 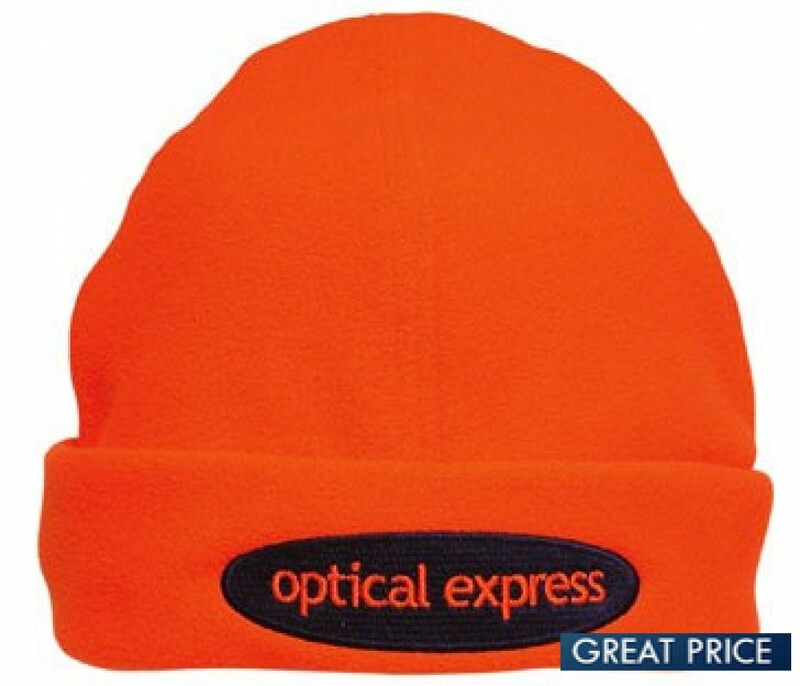 The bright safety colours enable this microfleece beanie to be suitable for outdoor road or traffic construction sites, whilst still bringing warmth and comfort to the wearers. The design of the beanie has a fold around the head, to your which branding can be added. Available in the choice of fluorescent green or orange. Perfect for those early cold winters morning and chilly nights where visibility is poor. The beanie is easy to wash and it doesn’t fade. Encourage staff cohesion through branded high visibility beanies. Keep your employees safe and warm, and let the public know how much you value safety. By ordering this product today, you will receive the microfleece beanie customised with your logo embroidered on the front up to 8000stitches. For a larger logo or branding on additional areas such as the back or the side, please contact us and we can provide you with a quotation. When you supply your logo file to use, please email through an eps or pdf. We can also accept high-resolution jpeg. We will close match the colours of your logo and send through a mock-up of the embroidered design, for your approval. The price excludes GST. The beanies are stocked locally in Australia for fast 1-week production. Delivery time is additional. An embroidery set up $50+gst applies for bulk orders below 50 units.